This is a great opportunity to purchase the stocking fillers that you are looking for because of the special offers available. With great choices of stocking fillers available, you are sure to find exactly what you are looking for. Shopping for cheap stocking fillers online can be a bit challenging when you are on a tight budget. 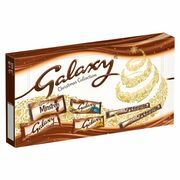 Get access to awesome cheap stocking fillers on amazingly great discounts plus you get to choose from the most reliable online retailers. Save as much as 60% when you buy from B&M, Amazon, and House of Fraser. Hawkins Bazaar BRILLIANT for STOCKING FILLERS! Don't Miss the CLEARANCE SECTION! Hatch-Em Hatching Dinosaur Egg (2 PACK) GREAT STOCKING FILLERS! Clinique Sonic Brush + Cleanser and Free Deluxe Stocking Fillers! 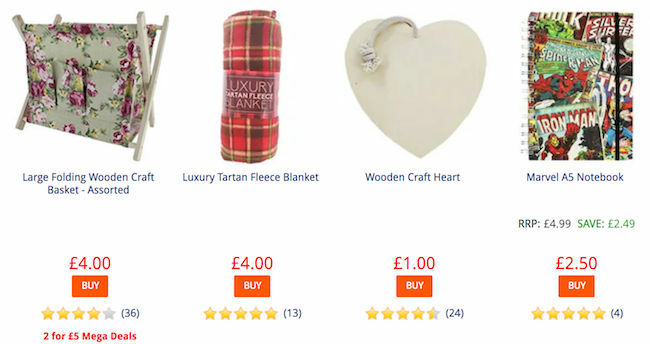 Find the perfect cheap stocking fillers for everyone here at Latest Deals! Stocking Fillers are small presents that are given at Christmas. These items are put into the Christmas stockings. A Christmas stocking is an empty sock or sock-shaped bag. This bag is filled with candies, fruits, small toys, and other small gift items. The tradition of having Christmas fillers is thought to have originated from the life of Saint Nicholas. In most Christmas stories, Christmas fillers are the toys that the child receives from Santa Claus whether they are naughty or nice. These gifts are wrapped up and place underneath the Christmas tree. If the child is naughty, he will receive a pile of coals and if he is nice, he will receive the gift that he wants for Christmas. Christmas stockings are also placed at their bedpost so that Santa Claus can fill it up with gifts when the children are asleep. Opening a Christmas stocking is a fun part of Christmas and children are looking forward to doing it. Putting Christmas fillers inside the socks are equally fun as well most especially for the adults since they are the ones who will do this task to surprise their children. Before you start searching for the Christmas stocking fillers for him and for her that you will put inside the Christmas sock, think about the interests of the person who will receive the gift. Christmas fillers greatly depend on the wants of the gift receiver and their age. Christmas is the season of giving and sharing. The best way to practice this is by buying stocking fillers or Christmas socks. Stocking fillers depend on the desired item of the receiver, his age, and the budget. Each gift should be tailored to the receiver's interests so that he will surely appreciate what he will receive at Christmas. For small children, you can give them candies and small toys. For adults, you can give them chocolates, toiletries, or relaxing bath salts. Make sure the items are age-appropriate. When choosing gifts for children, make sure that the items are appropriate for their age and they are safe to use. Some toys have small components that can choke young children. Include toiletries or articles of clothing. Include toiletries such as small bottles of shampoo so that they will know the importance of hygiene. You can also include hair clips, chapsticks, and hair clips in your Christmas socks. Choose items like books or puzzles. Include educational items as stocking fillers. This will allow them to improve their intellectual capacity. Include items such as books and jigsaw puzzles in your Christmas socks. Select craft supplies for an aspiring artist. Pencils, watercolour sets, and crayons are great stocking fillers. These items will allow your child to improve his artistic abilities. You can even include some small journals and colouring books. Pick out small toys for the stocking. Children are fond of playing with toys and this stimulates their imagination. Include small toys to encourage play time. There are lots of toys to choose from including bouncy balls and Legos. Opt for items related to a hobby or profession. For adults, you can buy them magazines, bumper stickers, or books depending on their interests. You can also include relaxing gifts such as bath salts and scented candles. Choose sweet and salty foods for flavorful stuffers. Put some chocolates, fun drinks, chips, cookies, and candies in your Christmas stockings. These products are great to snack on during Christmas Eve. 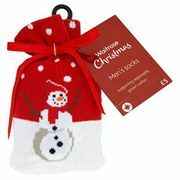 There are lots of products that you can buy for your Christmas stockings. There are stocking fillers for him and for her that you can buy online. You can even get stocking fillers for toddlers. We will provide you with the best cheap stocking fillers deals so that you can get great value for your money. Make sure to use the latest stocking fillers voucher codes to save some money on the side. Here you can compare and look for cheap items online most especially if you have a limited budget. This is a great opportunity to purchase the items that you are looking for because of the special offers available. Our bargain hunters have searched long and hard to give you the best stocking fillers deals and special offers. You may want to buy personalised Christmas presents for your loved ones. 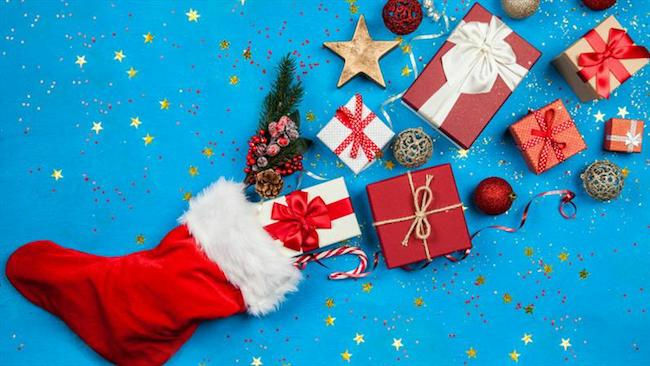 Whether you are looking for any kind of novelty presents or couple Christmas stockings, there are a variety of choices await you from reputable sellers. Deals and voucher codes that you can use at reputable online UK sellers will certainly not disappoint you. Getting access to quality but cheap Christmas gifts for mum and dad online have been made so much easier. Get access to awesome luxury filled Christmas stockings on amazingly great discounts plus you get to choose from the most reliable online retailers.